Fuzz combined this killer textile with the best leather around, a soft-cotton backing, and strong, vintage-style hardware. For the modern vintage series, Fuzz took vintage or vintage-inspired textiles and repurposed them into their own designs. It's what we think our rock and roll heroes would wear. This one is made with a vibrant blue floral polyester. Fuzz combined this killer textile with the best leather around, a soft-cotton backing, and strong, vintage-style hardware. 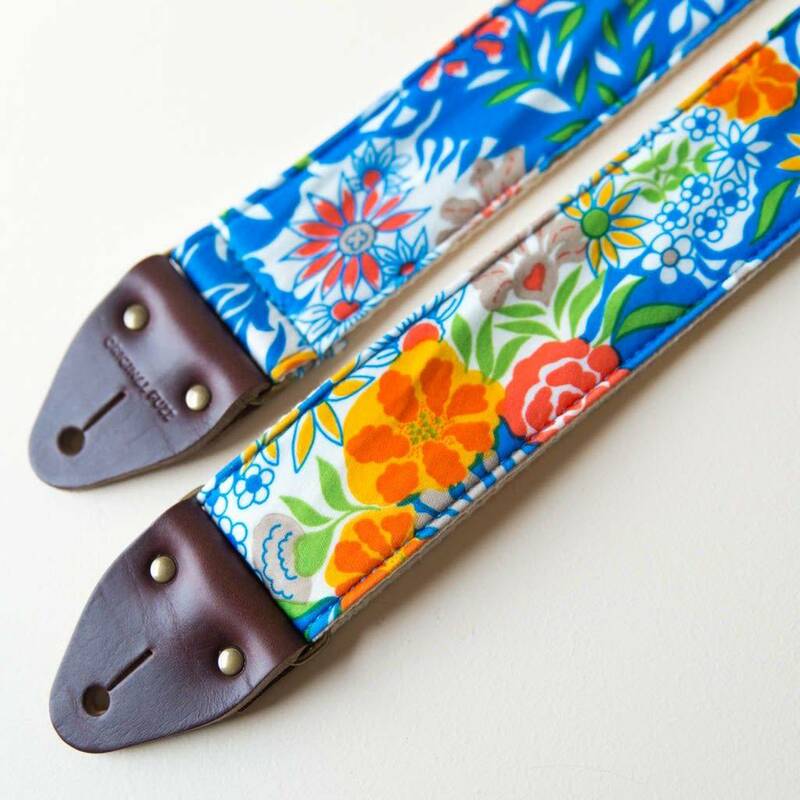 Named after a memorable street in one of our favorite towns, Charleston, SC, this guitar strap is guaranteed to stand the test of time in beauty and craftsmanship. 2” wide / adjusts up to 58” long.